The “Superba” is the capital of our region, a monumental and ancient city overlooking the Ligurian Sea, a port city linked to commerce and seafaring. Its cultural heritage, symbol of the wealth of the city, its “caruggi”, the small and characteristic alleys, make up the largest historical center of Europe, rich in monumental buildings and ancient churches. A day in the shade of the Lanterna, the ancient lighthouse symbol of the city, forces you to take a leap into the past. Among the countless points of interest, we recommend you visit the Palazzi dei Rolli, the Cathedral of San Lorenzo, Palazzo Ducale and Palazzo Reale. 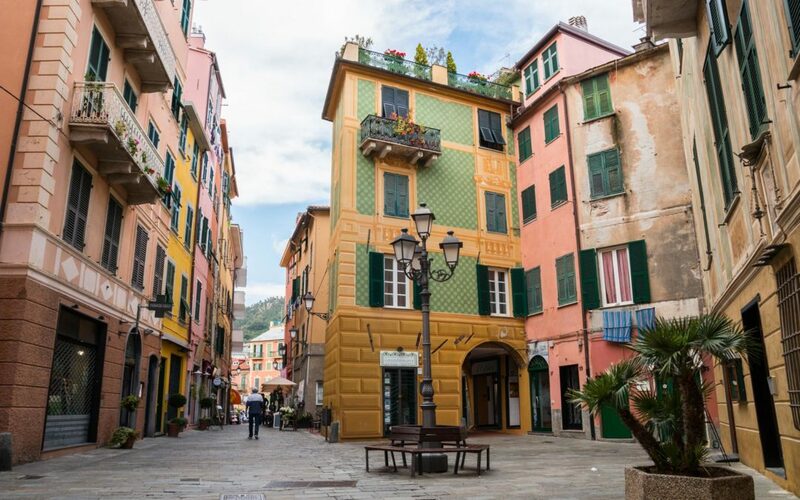 Take advantage of a stay in Varazze to visit Genoa. Varazze is among the best seaside resorts near Savona, an ancient city rich in history, places of art and worship. Among the stops you must visit the fortress of Priamar, the fourteenth-century “tower”, the Pinacoteca, the Duomo and the “small” Sistina, chapel commissioned by Pope Sixtus IV, originally from Savona, the ancient Torre del Brandale called the “Campanassa” . Varazze is the ideal place to stay at the gates of the city. The Riviera di Ponente has always been a popular destination for tourists and travelers for its mild climate, the villages rich in history, the indented coastline, the sandy and pebble beaches. A timeless charm with a taste of the sea that surrounds places such as our Varazze. The Ligurian hinterland with its mountain landscapes, impervious roads immersed in the woods and rural realities is a leap in time and in the quiet country life. Depart from Varazze to discover the ancient routes of salt and oil, ancient crossroads of pilgrims and merchants, discover ancient places like Sassello and Urbe.